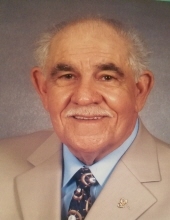 Jesse Marvin Harness, age 77 of Beelick, Kentucky, went home to be with the Lord Monday, February 4th, 2019, at UK Medical Center in Lexington, Kentucky. Marvin was born July 14th, 1941, in Lincoln County, Kentucky, of the late James Hubert Harness and Maude (Rodgers) Harness. He was a member of Liberty Baptist Church in Beelick, Kentucky. The funeral will be held at Liberty Baptist Church at 1:00pm Friday, February 8th, 2019. Burial will be at the Liberty Baptist Church Cemetery. Visitation will start at 11:00am Friday until the funeral service at 1:00pm also at Liberty Baptist Church. Pastor Zandell Hasty will be officiating. To send flowers or a remembrance gift to the family of Jesse Marvin Harness, please visit our Tribute Store. "Email Address" would like to share the life celebration of Jesse Marvin Harness. Click on the "link" to go to share a favorite memory or leave a condolence message for the family.